Mystery of the Increasing Number of Deformed Frogs: What Might be Causing These Changes? You might think that something that looks like a frog with strong hind legs, webbed feet, round bulging eyes and smooth, thin green skin with spots or a lizard-like pattern would not be endearing. However, scientists love this species—all 3,500 different kinds—because they are special. Female frogs lay eggs in water, such as ponds or streams, and males come by to fertilize the stash. Out hatch tadpoles, who live a life of swimming until their legs develop, their tails drop off and they become small frogs. Surviving polliwogs then hop onto land and eat invertebrates. They become part of several food chains. Frogs are amphibians, adaptable to both water and land. Similar to humans, they are vertebrates, meaning they have a spine. Their limbs are modeled like ours too, with a long bone and two lower bones that attach at wrist, ankle, hand and foot. They also have smooth skin that soaks up air, sun and the water around them. That makes them a kind of barometer for their surroundings. They are a gauge of their environment. In summer 1995, some students were on a field trip in Minnesota when they came upon hundreds of frogs. This in itself is not unusual, but they noticed many were not jumping around. Upon closer examination, students discovered that over 50% of the colony had flaws: missing limbs, twisted legs, footless stumps and other abnormalities. Soon, reports came in from many other states that said the same thing. Like a monster movie or the winning creation on Face Off, frogs were showing up with two legs, eyes inside their mouths, and missing body parts. The phenomenon was also found in Canada and other countries around the world. Species in Costa Rica and Australia disappeared completely. Since frogs had adapted and been around for 200 million years, alarm bells sounded. Might people be harmed too? The first theory was that predators such as turtles, snakes, raccoons and large birds had taken bites out of the frog’s legs. This theory didn’t play out because the specimens caught didn’t have scars. They typically sit with their legs under them, and amounts of defects did not correlate with the growing damage scientists observed. In addition, there were deformed frogs even without predators that suffered deformities. Farmers in the U.S. use over 1 billion pounds of pesticide to kill and ward off bugs and pests that devour their crops. Could these pesticides be seeping into the water or is the insect repellent powder being carried into ponds? Were chemicals disrupting the frogs’ hormones? According to biologist Judy Helgen, “Frogs are hosts for many kinds of parasites, like flatworms and roundworms, which live inside their gut, bile duct, lungs and kidneys." Flatworm parasites create cysts on tadpoles, which trick their body into growing extra limbs. Scientists have since replicated this with an experiment; they planted little beads into tadpoles and extra legs grew. How would that account for the frogs’ missing legs? Ultraviolet light (UV rays) have also been accused of deforming frogs. Humans are protected by the ozone layer, which in the past was eaten away by hairsprays propellants, chemicals in refrigerators and air conditioners and more. They have since been banned. Frogs are true indicators of the eco-system and this one piece of the puzzle affects all the others so whether it is pollution, chemicals, parasites or something else, we need them to keep a balance. Frogs are a meat source, they hunt and eat insects that annoy people and they ingest water pests that create algae in ponds and cloud the water. 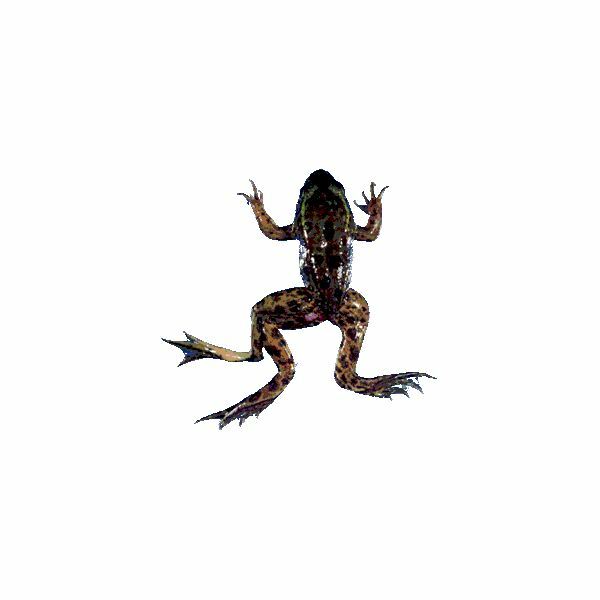 According to Helgen’s book, Peril in the Ponds, currently one-third of amphibians are classed as threatened with extinction (1,856 species). Of these, 427 species are listed as critically endangered. In addition, 43% are experiencing some degree of population decline. Researchers have shown that abnormalities in frogs have increased in frequency and severity over the past 20 years. Vote to legislate to protect the wetlands whenever possible. Watch that ATVs and off-road vehicles don’t tear up wild lands, ponds and other animal territories. Restock lakes and streams with frogs from captive breeding ponds. Sample lakes, streams and ponds to do what is possible to keep local waters clean. Buy organically grown foods instead of pesticide-laden crops. Helgen, Judy. Peril in the Ponds: Deformed Frogs, Politics, and a Biologist’s Quest. Amherst and Boston: University of Massachusetts Press, 2012. Book. Allen, Kathy. Deformed Frogs: A Cause and Effect Investigation. Indianapolis: Capstone Press, 2011. Book. Johnson, Pieter et al. “A Decade of Deformities: Advances in Our Understanding of Amphibian Malformations and Their Implications. Ecotoxicology of Amphibians and Reptiles, 511-36. Paper.